The stock slipped 8 per cent to Rs 270 on Wednesday after the media report suggested that Etihad Airways offers to invest in debt-laden carrier at discounted rate of Rs 150 per share. 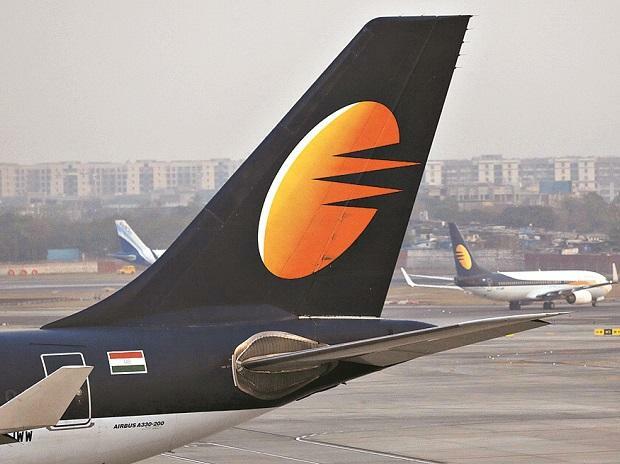 Shares of Jet Airways (India) slipped 8 per cent at Rs 270 apiece on BSE in the intra-day trade on Wednesday after the media report suggested Etihad Airways offered to invest in debt-laden carrier at a discounted rate of Rs 150 per share. With today’s fall, the stock has fallen 13 per cent from its Tuesday’s intra-day high of Rs 312 on the BSE. Etihad Airways has offered to pick up shares of debt-laden Indian carrier Jet Airways at a 49 per cent discount and to immediately release $35 million after certain conditions are met, CNBC-TV18 reported on Wednesday. In the past three trading days, Jet Airways had outperformed the market by surging 21 per cent on hopes of finalisation of the resolution plan. In comparison, the S&P BSE Sensex was up 1 per cent during the same period till yesterday. At 01:47 pm, Jet Airways was down 7 per cent at Rs 274 on BSE, against a marginal 0.03 per cent rise in the benchmark index. The trading volumes on the counter more than doubled with a combined 33.17 million equity shares changed hands on the NSE and BSE so far.